SVT Associates has developed the unique AccuFlux Process Controller as a real-time Deposition Flux Monitor in thin film deposition processes. 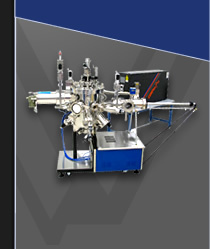 Based on Atomic Absorption Spectroscopy, the system measures the atomic vapor flux density originating from solid and gas sources. This optical technique provides a nonintrusive in situ flux monitor with high accuracy for excellent composition control better than 0.3%. The AccuFlux (In-Situ 6000) Process Monitor uses element specific lamps allowing up to four materials to be monitored simultaneously. An innovative, proprietary optical and electronic design with on-board DSP can provide sensitivity better than 0.002 nm/s (deposition rate equivalent — element dependent). The self referencing and self aligning design provides drift free and low maintenance operation. 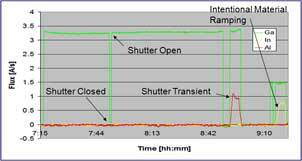 The AccuFlux process monitor can be used for a wide range of materials for MBE and PVD processes. The optional remote control package is ideal for production application, and allows AccuFlux to provide real-time feedback for automated shutter and source control. The AccuFlux can monitor fluxes in multiple source configurations, including linear and confocal arrangements. 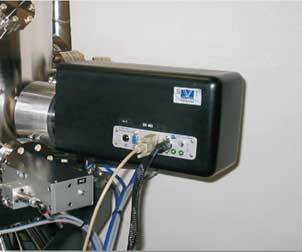 With high sensitivity, the AccuFlux is capable of monitoring dopant materials. The material specific light sources allows for operation in an over pressure environment such as in III-V MBE Systems, II-VI MBE Systems, monitoring CIGS sources, and PVD Applications. Contact SVTA to learn more about the AccuFlux Process Monitor and how it can give you a new insight to your deposition process.